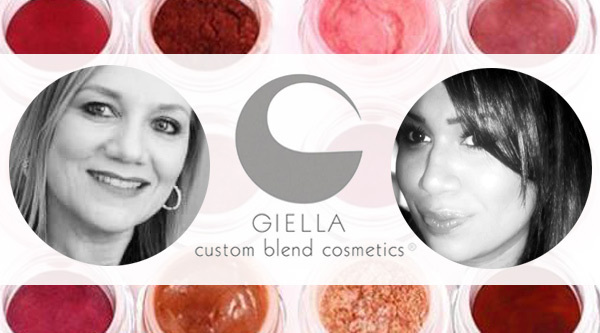 This past month Erica Figueroa, master blender of GIELLA Cosmetics, has been demonstrating the GIELLA Brand at a pop-up shop in the new Neiman Marcus at the Grand opening of Hudson Yards in Manhattan. Now she is back at MWS creating custom blended makeup to perfection. A few weeks ago I had the privilege to sit in a makeup chair on our beauty floor at MWS learning tips and tricks of makeup application for mature skin from Giella herself. Age Spots: Unless you want to eradicate them with laser technology, these hyperpigmentation spots can be easily covered up by concealer and foundation that is custom blended to match your skin tone. Puffiness under the eyes: There are many causes, lack of sleep, water retention, allergies, and heredity. Refrain from putting eye cream too close to the eye at night and irritation. Hide bags with foundation and concealer. Brows: As you age brows thin and lighten. Get expert advice on shaping and coloring. The key is the right color which is where a custom blended brow color makes the difference. No more guessing or in most cases being forced to use a color that just isn’t right due to limited choices. Moisturizing: Only moisturize the areas that need it and start using face oil along with your moisturizer. You can also add oil on top of foundation during the day for extremely dry skin. Lips: Moisturize lips with oil. Custom blended lipstick to brighten your face is an easy pick me up. Cheeks: A cream blush is preferable to powder blush as your skin becomes dryer as it matures. GIELLA is the first totally integrated cosmetic line for face, eyes, and lips that recognizes each individual’s color profile. The Color Perfect Analysis System is a consultative analysis that looks at hair, eye and skin color. Using the system, they can help a client select the perfect red, pink or brown lipstick according to their hair, eye and skin coloring. This is the heart of their philosophy. It really takes the guesswork out of matching color to an individual’s unique color profile. It is the perfect Brand Me cosmetic solution! Tagged custom blend, giella, hudson yards, Makeup, neiman marcus. Bookmark the permalink.